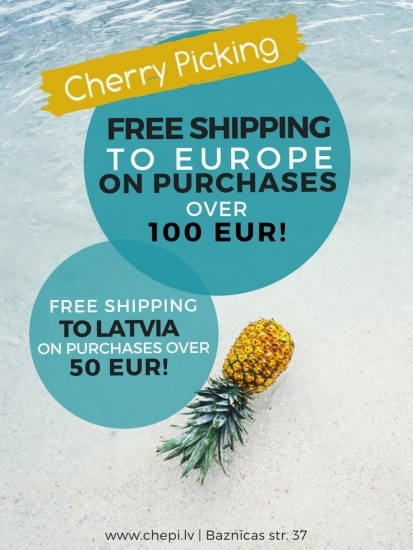 For orders valued 50 EUR or more we offer free shipping in Latvia! For orders valued 100 EUR or more we offer free shipping in Europe! You can choose from 22 different Strings of feelings that are inspired by natural energy and it's unique colors. Create a string light for your home, for celebration or for cheering up your family and friends. So many variations from 62 tones. Choose your own colors and put in your basket. If you are looking for an inspiration for how to use string lights in your interior or as decorations, take a look at our photo gallery. Want to be the first to know about customer days, discounts and new deals? Sign up for a newsletter! 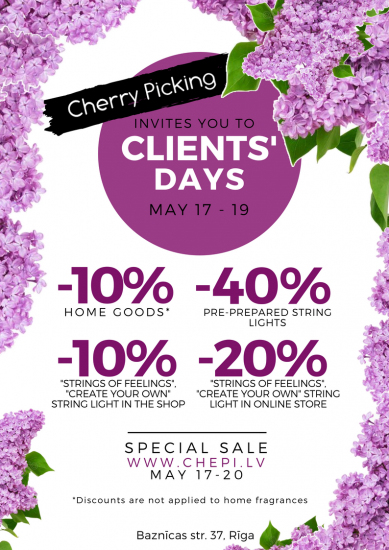 You can unsubscribe at any time by writing to us at chepi@chepi.lv or by clicking on the newsletter that you receive from an active promotion. More information: INFO-TERMS AND CONDITIONS. Want to be the first to know about customer days, discounts and new arrivals? Sign up for a newsletter! You can unsubscribe at any time by writing to us at chepi@chepi.lv or by clicking the link below every newsletter that you receive from us.